If you are arrested for DUI in the state of California, and a passenger under the age of 14 is in your vehicle with you, the penalty will be increased – “enhanced” – if you’re convicted on the DUI charge. For a first-time DWI offense, the enhancement is an additional 48 hours in jail, but on subsequent offenses your time behind bars could be enhanced by as much as an additional 90 days. 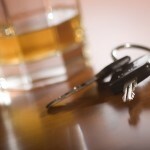 Whether a child is with you or not, if you’re arrested for DWI in Orange County, get legal help at once and arrange to speak with an experienced Orange County DUI defense attorney immediately. More serious than a DUI enhancement is the possibility that you could be charged with child endangerment of a child under the age of 18 for willfully causing or allowing the child to be put in circumstances where the child’s person or health may be in danger. California judges have ruled that driving under the influence with a minor in your vehicle meets the legal definition of child endangerment. Depending on the circumstances, child endangerment may be charged as a felony or as a misdemeanor. 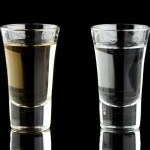 A District Attorney has the discretion to charge a straight DWI, a DUI with a sentence enhancement, or a separate charge of child endangerment. The message is simple; if you’re going to have even one drink, do not let a child accompany you. You cannot be charged with an enhancement or with child endangerment if you are not convicted of the initial DWI charge itself. 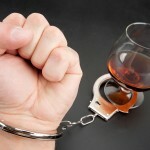 If you are charged with DWI in southern California, immediately contact an experienced DWI defense attorney who can fight aggressively for justice on your behalf. If you face both a DUI charge and an enhancement or a child endangerment charge in Orange County, it’s imperative that you obtain the services of an experienced Orange County DUI defense attorney as quickly as possible.